Creating this Buffalo Check pattern is easier than you might think! 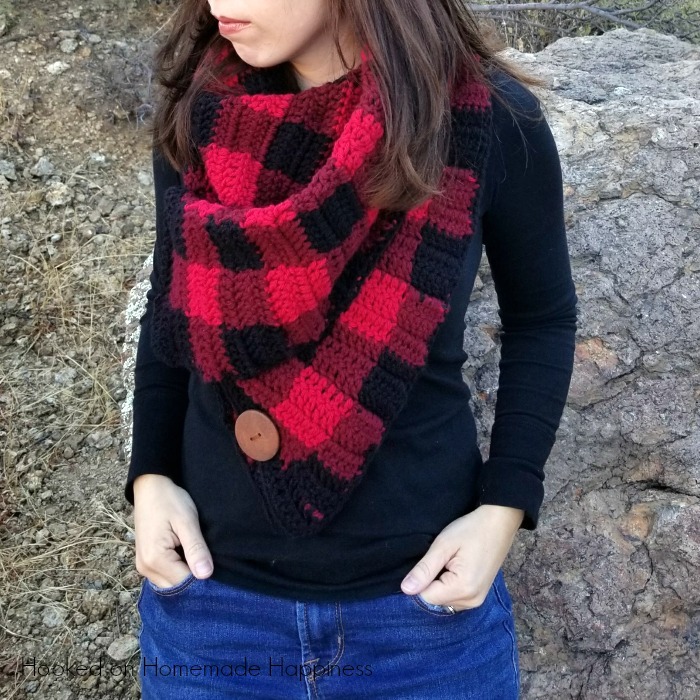 Grab three colors, your H hook and you’ll have this Buffalo Check Cowl Crochet Pattern whipped up in no time. 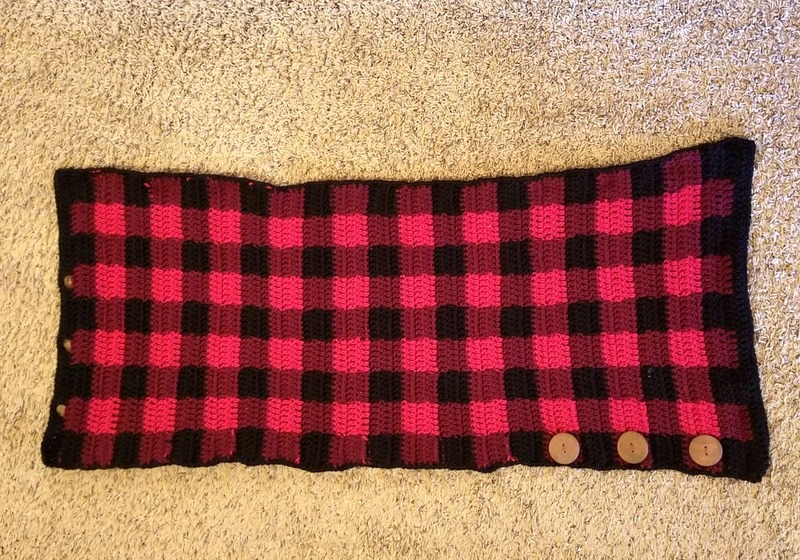 True story: I fully intended to make this big, buffalo check blanket scarf, but I ran out of yarn. I was planning on going to get more, but then I thought about how I could make the current size work… and ta-da! 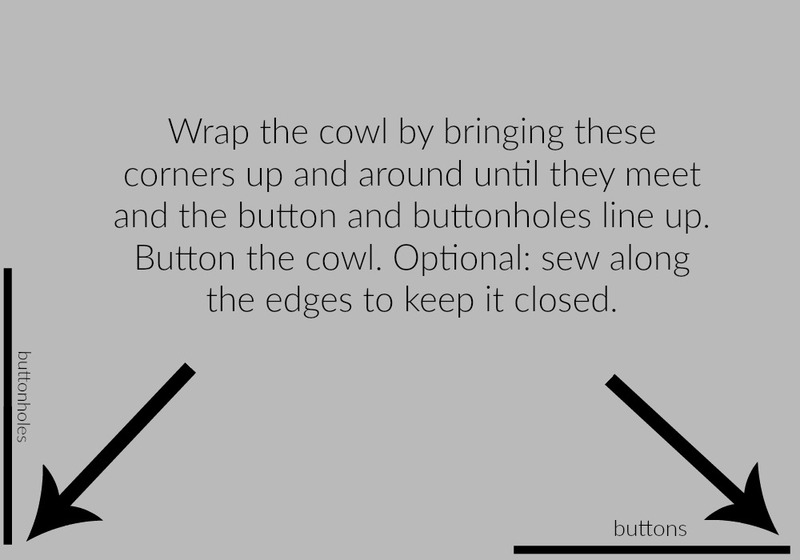 The buttoned cowl was born! I like this better because it’s not as heavy and bulky as a full blanket scarf would have been, but it still gives that cute bulky look. 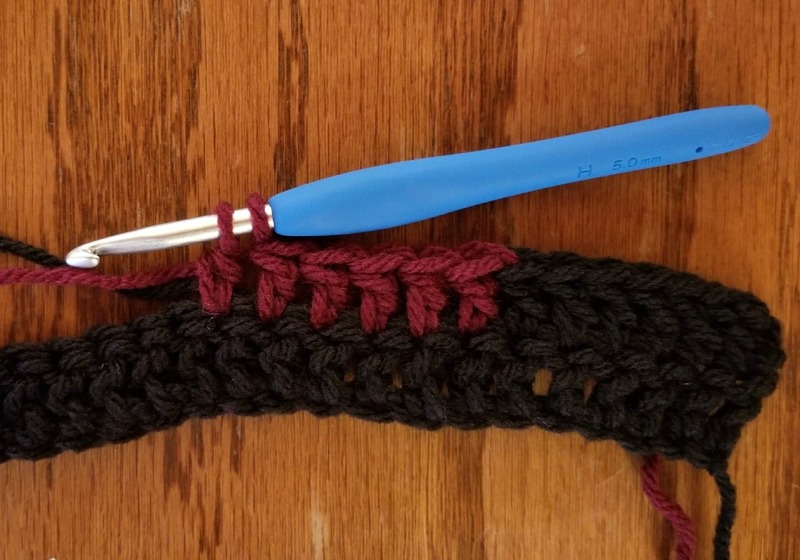 Repeat rows 2 – 7 to row 64. Next is the border. I wove in all my ends before starting the border. Lay out your piece so the buttonholes are on the bottom left. Sew on buttons to the right along the bottom. 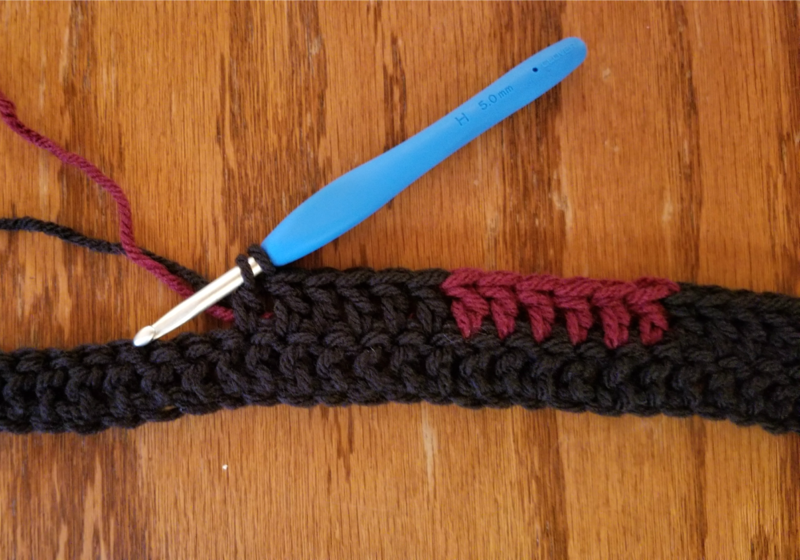 I sewed one in the middle of the last 3 burgundy squares. This is the direction you want it to be when you put it on and button it. Hi- I completed this but can’t figure out how to button it? Can you help? I’ll try… it’s so hard to explain! Put it over your shoulders so the buttonholes are on your left and the buttons are on the right. Then bring the button holes over to the buttons and button them (it will still look a bit awkward at this point) Then you’ll have to fiddle with it so the corners at the bottom line up. You could also secure it in this position and sew it so you don’t have to figure it out again. I can’t figure out how to button it either. Been trying for a hour and just can’t figure it out. Is there a video that shows how to button them? Where is the graphic? 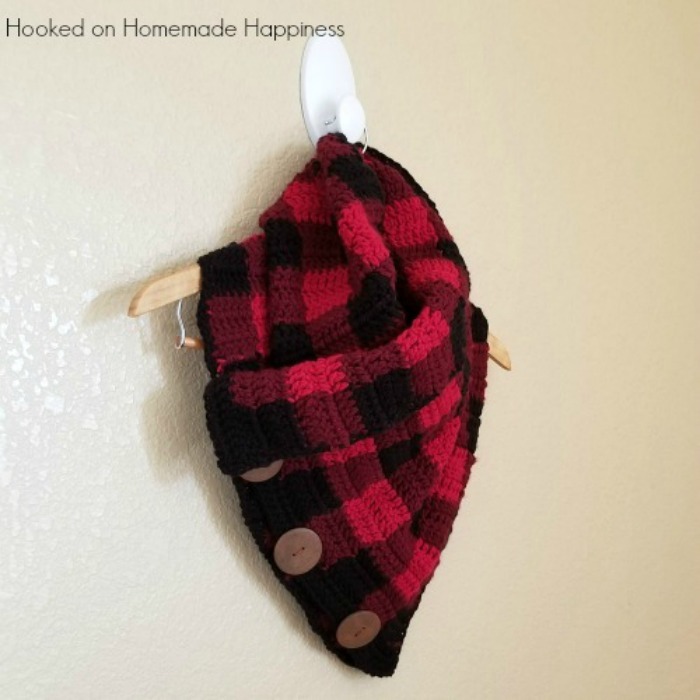 I loved making this, love the look, but, OMG, I cannot figure out how to button!! I can’t figure our how to button this either even eith the detailed explanation. I loved making it tho and really enjoyed it up to this point. Was there a video to show? I think I have figured it out. What was confusing to me was the placement on the person. The 3 button holes are on the lower placement on person leaving the few inches of the side above the button holes closest to the chin and folded over. Omg thanks for posting it now makes perfect sense to me!! I had the holes at the top! 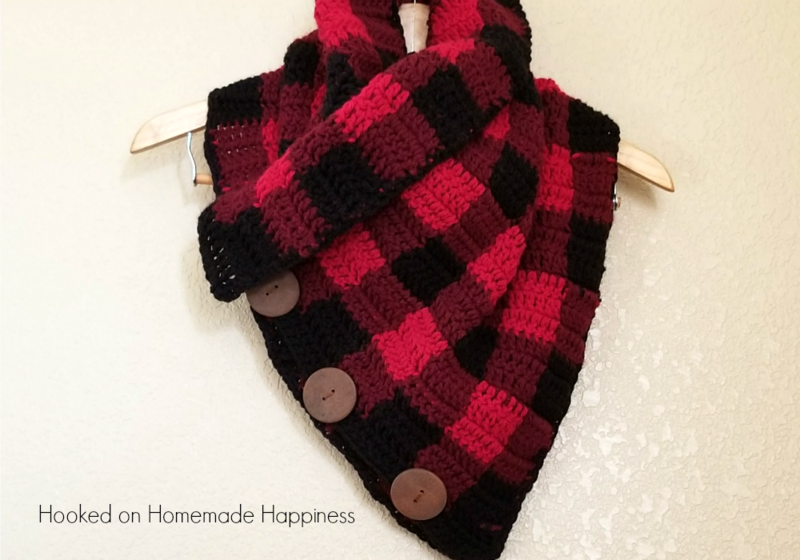 Hi Breann…love your buffalo plaid cowl. Getting ready to start one for my daughter. 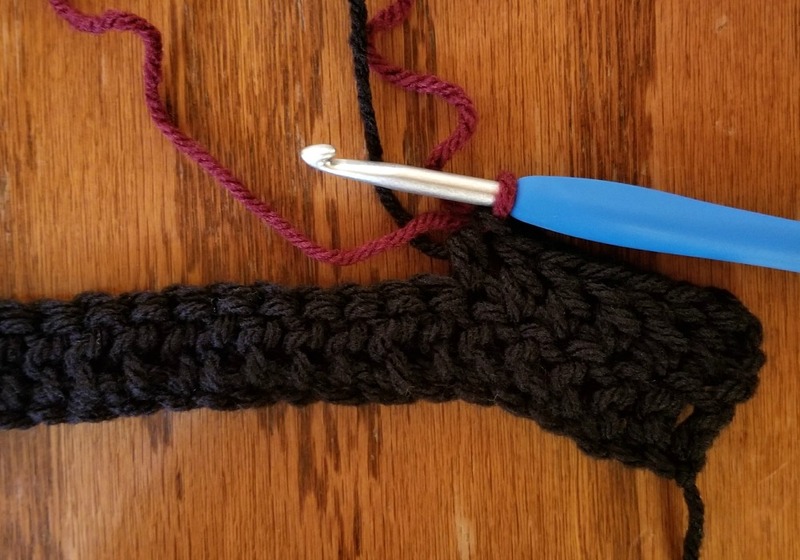 One question, what does double crochet in the “same” stitch mean? 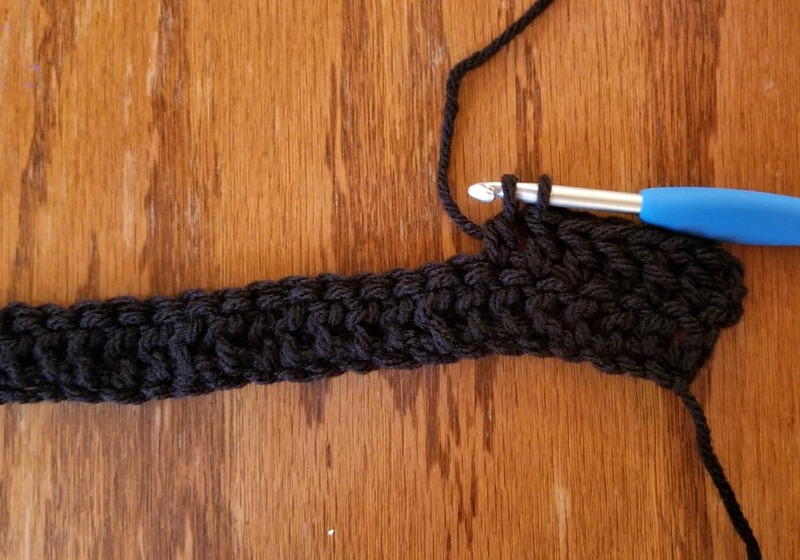 So then each end section will have 7 dc instead of 6 Since you ch 3 the dc in same stitch. I just want to be sure. Love this cowl thanks pattern. I can’t wait to complete it and wear. Would this size work on a size 12 figure? Does it run small? Thanks! I think it would 🙂 You can continue the pattern until it’s the size you want. 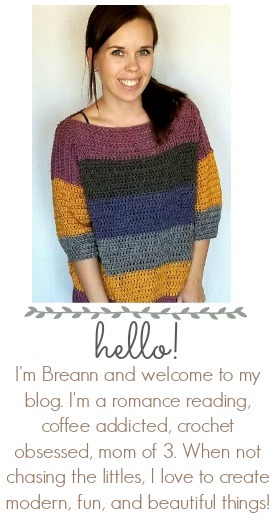 Breann….what is the finished dimensions? Breann….what are the finished dimensions?